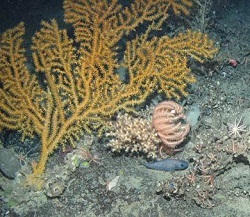 Depth range: ~150m-1000m, although shallow water species do exist. Geographic range: The genus is found worldwide, but the species we see is probably limited to the NE Atlantic. The Gorgonocephalus is one of our favourite animals to meet. Its writhing, ever-forking arms are to blame for its name which is derived from greek mythology where the gorgon Medusa had a head (in greek ‘cephalus’) of snakes. 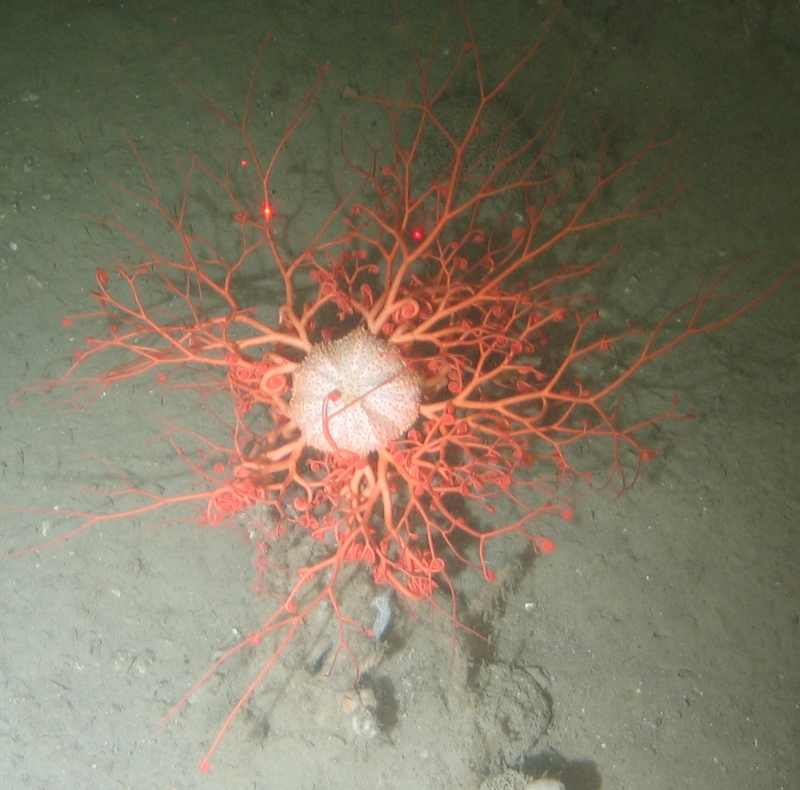 This gorgon is actually a type of brittle star though (Class Ophiuroidea). We often see them perched on top of rocks or reefs where they make use of their basket of arms much like a spider’s web or fishing net. Small zooplankton can be grabbed out of the bottom currents by the hooks and tube feet on their arms which then curl back and pass the prey to its mouth on the underside of its central disc. 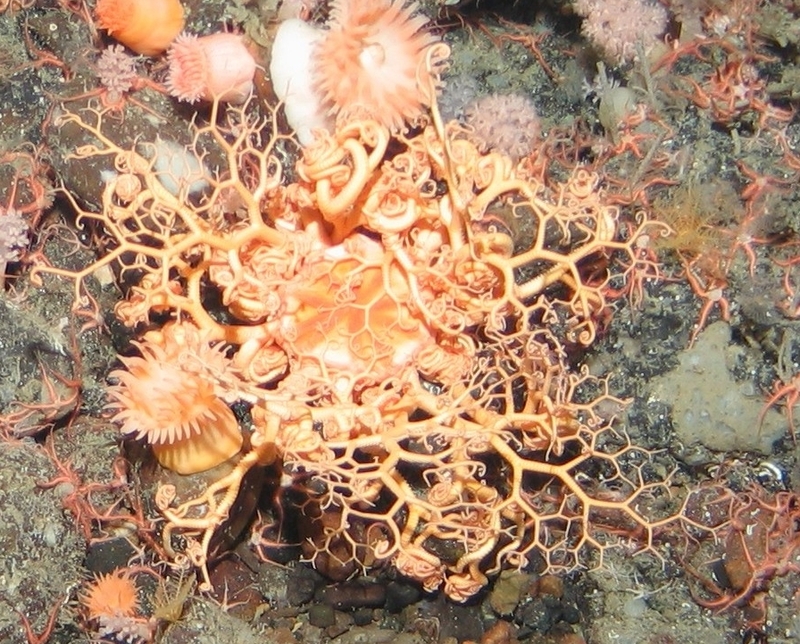 We don’t know much about the life history or reproduction of these animals, it is thought they may release eggs into the water column, and one arctic species is known to have juveniles which hand out amongst the polyps of soft corals for protection. Check them out on NOAA’s animal guide from the Okeanos Explorer expeditions (the live streaming from which you must watch out for!). X Brisingid sea stars or Crinoid feather stars. Both of these creatures are also Echinoderms like Gorgonocephalus, but neither animal has arms which fork quite so much! X Brisingids have fleshy arms, but the branching from those are spines which can’t write like Gorgonocephalus. Again, Brisingids pass food to the underside of their central disc. 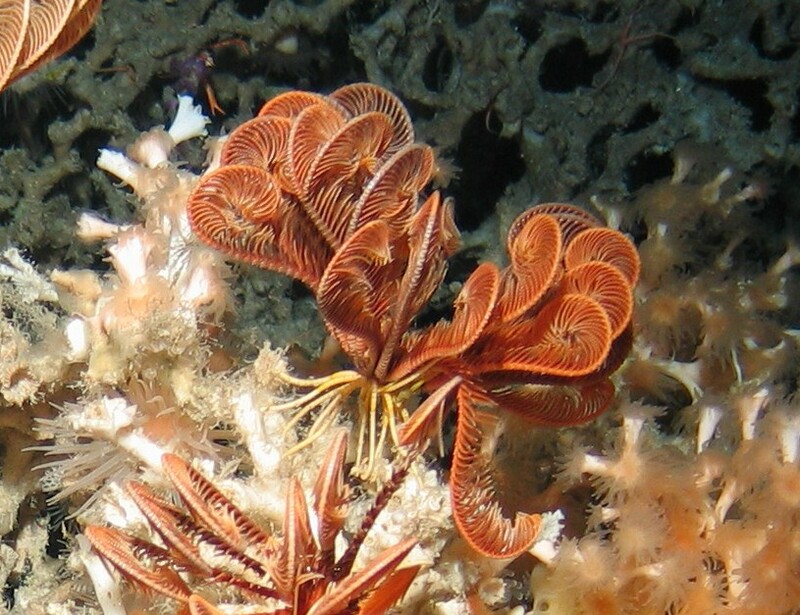 X Crinoid arms, like Gorgonocephalus and the Brisingids, also have tube feet, but so do their pinnules which fork out from each arm, lending them that more feather like appearance. Unlike Gorgonocephalus and Brisingids, in Crinoids food gets passed to a mouth on the upper surface of their central disc. 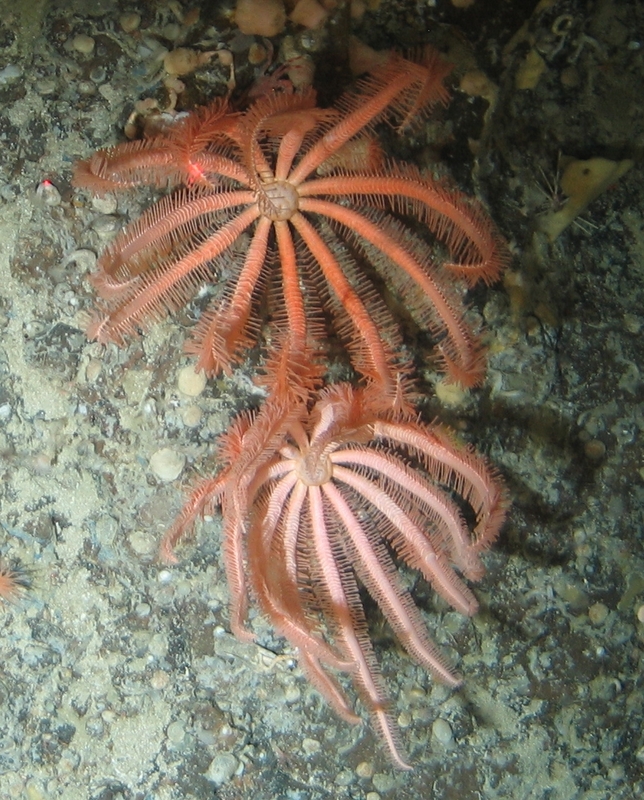 Crinoids may also have a stalk or some ‘cirrhi’ which attach the animal to the ground (and can even allow them to walk around). Some species of Crinoid are very able swimmers! P.S. Fun fact! Gorgonocephalus arctica was one of the first recorded deep sea beasties, caught entangled on Captain John Ross’s sounding line in 1818 off the northeast coast of Canada (and it still resides in the Natural History Museum in London to this day!). That means these guys were one of the first animals to start debunking the theory that there could be no life down there in those high pressure depths! Here’s a great paper on the topic. P.P.S If you want to learn more about this creature, check out Christopher Mah’s ‘Echinoblog’ on Gorgonocephalus, and (for some writhing GIFs) Azula’s article a couple of months ago. MORE CREATURE FEATURES COMING SOON…..
← An underwater glowing stream – how to make brainless, immobile, toothless filter feeders look a bit cooler for a few seconds?